Indo German Tool Room(MSMS) Admission 2018 Indo German Tool Room Ahmedabad is a tool room and training Centre engaged in production of tools of precision plastic & metal component and also engaged in area of Training in tool and die making, CAD/CAM & CNC Technology. 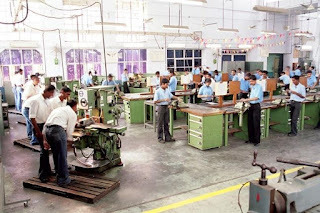 Indo German Tool Room was established in the year 1994. The college is situated on a lush green hilly plot, consisting of fossil rocks in a serene and tranquil atmosphere, provides the necessary emotional and intellectual inspiration and sustenance to the students and teachers. It is situated in Ahmedabad, the business centre of Gujarat. The college is affiliated to Gujarat Technical University and is affiliated to All India Council for Technical Education (AICTE), New Delhi. Indo German Tool Room is an institute for Tool & Die Making and training. IGTR ahmedabad is equipped with the latest European machines and a motivated and trained professional team. The time has now come to evolve and implement new strategies, to exploit the hidden potential in human resource and future entrepreneurs in making for the development of the society, in this context INDO GERMAN TOOL ROOM offers a wide range of services especially to small scale industries.